You must be pretty surprised that I had to qualify this magnificent case that allows you to run Android OS-based applications on Iphone devices with the word "magic". Well, I just couldn't figure out another word to qualify the awesomeness with. We have seen different helpful technological innovations shooting out of the blues in endless barrage, and I can bet it, that this is going to be one of the best things that have ever happened to every Iphone user. Who would have imagined the probability of IOS running Android applications, let alone run the OS? The installation and running of Android OS on the Iphone OS can be best compared with trying to force the engine of a jet into a car; it is way too herculean. What about mirroring the Android OS on the Iphone screen? Well, I guess we wouldn't have known how possible it is, if Lee didn't put his nose to the grindstone to figure it out. This case was built from a Lemaker HiKey development board. This case carries a Kirin 620 SoC, 2GB RAM and has a 8GB on-board storage capacity. This device has the ability to successfully run Android version 6.0.1 without being too huge. 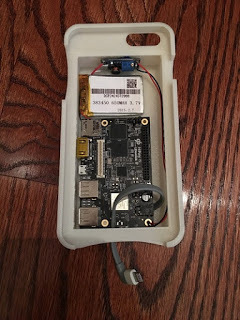 Lee did a pretty good job making a 3D printed case for the board and battery. You will notice a small cable at the bottom of the case; it is the cable that connects the board with the Iphone placed on it. The connecting cable gets plugged into the Android device to be used. After connection, a custom application that listens for the case is launched. 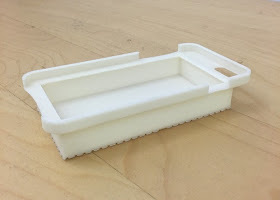 Immediately it connects, the magic case streams the android OS to the screen of the connected Iphone and the wonderful Android experience begins. 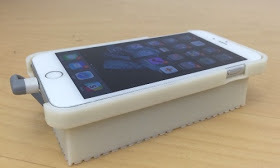 However, despite all the goods this could do users who would like to switch between Iphone and Android operating system without having to buy another phone, this magic case looks rather bulky. I believe that since this got achieved, there is a 100% hope that a fashionable and smaller version of this magic case is something that will soon be unveiled.